During an armed robbery, the defendant, Alphonso Cave, and three accomplices kidnapped the victim, 18-year-old Frances Julia Slater. One of the men later stabbed her, another fired a fatal shot into her head. On the evening of April 26, 1982, Cave, along with John Bush, J.B. Parker and Terry Wayne Johnson, left Fort Pierce, Florida, and drove to Stuart, Florida. They arrived in Stuart at approximately 11 p.m. that evening. Around 3 a.m. on April 27, the four pulled up to a convenience store in Stuart. Cave and two of the men entered the store where Cave held a gun on Slater and demanded the store’s cash. After taking the cash, the men abducted Slater, placing her in the back seat of the car. They drove to a rural area where she was removed from the car by the four men. One of the men then stabbed her and, when she fell, another fired a single lethal shot into the back of her head. The men then departed the scene for Fort Pierce but were stopped by police approximately one hour later because of a broken taillight. They were released at that time but later apprehended when the car and its occupants were linked to the convenience store crime. Cave has been resentenced to death twice, last getting sentenced in Pinellas County on February 21, 1997. Terry Wayne Johnson was convicted in 1993 of first-degree murder and kidnapping. He is serving life sentences for each of the convictions. On November 12, 2009, Cave filed an appeal in the US Eleventh Circuit Court of Appeals over the Federal District Court's denial of his habeas petition. That appeal was DENIED on April 12, 2011. In today's United States Supreme Court orders, Cave's petition for a writ of certiorari and motion for leave to proceed in forma pauperis was DENIED. STUART — Sally Slater has avoided driving on Kanner Highway for the past 34 years. Her daughter's body was dumped on the side of that road April 28, 1982, after she had been stabbed and shot to death execution-style. Four men were convicted of 18-year-old Frances Julia Slater's kidnapping and murder. One has been put to death. One, who was given a life sentence, has been living out on parole on the Treasure Coast, in part because of Sally Slater's forgiveness. But two others remain on death row. While they continue to live, Slater said, her family has been falling apart. Now 80 years old, she is on a mission to see them executed. "I would like to live long enough to see it happen," Slater said. "They're sitting in prison protected while my family is going through all sorts of hell all the time." Slater, whose stepmother was singer and actress Frances Langford, has been retired for about 20 years. She was a real estate broker, worked at the Jensen Travel Agency, did some bookkeeping and opened a skin care clinic. She doesn't do anything special on the anniversary of her daughter's death. This year, she scheduled three medical appointments to stay busy. She also has four small dogs to keep her occupied. She recently flipped through her table-sized scrapbook of newspaper clippings from the past three decades in the sunlit dining room of her Key West-style home on Indian River Drive in Jensen Beach. It was the one day between the anniversary of her daughter's death and her daughter's birthday. Articles recalled how Frances Julia Slater — or Frannie, as her mother called her — was working in a gas station north of Stuart alone about 2 a.m.
She had to work a double shift to cover that night for a kid who had put a nail through his leg, said Sally Slater. Four men — John Earl Bush, J.B. "Pig" Parker, Alfonso Cave and Terry Wayne "Bo Gator" Johnson — robbed the store, kidnapped the 18-year-old and drove her out to the western part of the county. Bush stabbed her, Cave pulled her out of the car as she begged for her life, and Parker shot her in the back of the head. The gun was thrown and never found, and the four men split whatever money they got when they returned to Fort Pierce. Records show Parker's split was between $20 and $30, but the total amount isn't known. Her mother believes they killed her because she saw them and would recognize them. Bush was executed in 1996 at age 38, a decade after he filed his last appeal and after 15 years on death row. Cave, 57, and Parker, 53, hold the record of Treasure Coast people on death row with 33 years and 34 years, respectively. Cave has exhausted his appeals, but Parker hasn't. In 2012, Treasure Coast Newspapers reviewed 20 boxes of court records related to the Cave and Parker cases. Court papers showed taxpayers spent more than $348,000 on Cave's appeals, and Parker's tab exceeds $296,000. At about $65 each day, housing both men on death row has cost an estimate $1.58 million, according to state officials. In 1982, Cave was sentenced to death after a jury voted 7-5 in favor of execution. In 1989, Gov. Bob Martinez signed Cave's death warrant, and records show he was within two days of being executed when a federal court issued a stay. During his appeals, Cave again was sentenced to death in 1993 after a jury voted 10-2 for execution. During a third penalty phase in 1997, he was returned to death row following a jury's 11-1 recommendation in favor of execution. 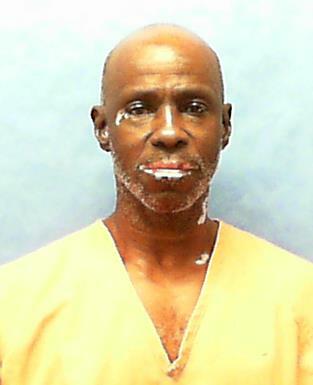 "Alphonso Cave has had three bites at the apple ... so that's why his case has dragged on for 34 years," said Assistant State Attorney Ryan Butler. "He has nothing pending in state or federal court. We're just waiting for the governor to sign a death warrant on Cave." Meanwhile, Parker still is appealing his punishment after being sentenced to death in 1983 by a 8-4 jury vote. During another sentencing phase in 2000, a new jury favored execution 11-1. Federal and state courts remain in the limbo with decisions about the death penalty and Parker's final appeal. But Johnson, 59, who was passed out drunk in the vehicle and didn't participate in the murder, was sentenced to life in prison and now lives in Fort Pierce after being released on supervision in 2008. He chose to return to Fort Pierce to be close to his mother, according to state prison officials, and will be supervised for the rest of his life. Slater got to know Johnson's mother well during court cases and appeals. They sat near each other and would talk every day. Slater said she's a very nice and religious lady. After Johnson confessed Parker did the shooting, Slater wrote a letter to the parole board stating she didn't oppose his freedom. "He served 27 years," Slater said, "and I thought that was fair." Fort Pierce correctional probation specialist Sandra Jenkins, who supervises Johnson in Fort Pierce, said Johnson declined to comment for this story. He considered the Slater murder a "dark chapter of his life" that he doesn't talk about, Jenkins said. After Johnson's release, he worked at a Palm Bay stable as a day labor maintenance worker. He's currently employed by Labor Finders in Fort Pierce as a lawn maintenance foreman. Slater has been fighting for justice ever since her daughter's death. Even though Parker hasn't exhausted his appeals, Cave has. Slater said Gov. Rick Scott needs to order a clemency hearing so Cave can be executed. Clemency is the process by which convicted felons may be considered by the governor for relief from punishment, including commuting a death sentence. If Scott ordered a clemency review, the Florida Commission on Offender Review would conduct an investigation and victims of record must be notified an investigation is pending and that they may submit written comments. It's unknown when Scott may do that. Offender Review officials said information related to a clemency petition is confidential. Parker has a petition pending before a judge in the U.S. Middle District of Florida seeking a review of state court rulings in his case. The judge in August put his appeal on hold while the U.S. Supreme Court prepared an opinion released in January that found Florida's death penalty sentencing system was unconstitutional. It's unclear when Parker's appeal will be put back on track. It could be delayed until after the Florida Supreme Court decides if a new death penalty law enacted in March applies to his case. If that happens, and because Parker's appeals are not final, legal experts have speculated it's possible a judge could rule that condemned prisoners with appeals pending should be sentenced again under the new law. For now, all Slater can do is write the governor and the newspaper. She wrote a letter to the editor for this newspaper's Opinion page, asking for Scott to take action. Slater said she's frustrated and angry with him. She believes there are circumstances when the death penalty is needed, such as in this case. Too often, she said, murder victims and their families are forgotten. "I don't have a daughter," Slater said. "I don't have grandchildren from her. She never got married. I can't enjoy her." In a highly unusual move, Florida Supreme Court Chief Justice Jorge Labarga has ordered an investigation of a death penalty lawyer who has repeatedly missed critical deadlines, was involved in a capital case in which roach-infested boxes of documents were destroyed by rain and who is currently representing two inmates who are trying to fire her. Labarga ordered the probe of Fort Lauderdale lawyer Mary Catherine Bonner �pursuant to the Court�s authority to monitor the representation of capital defendants to ensure that the defendants receive quality representation� on November 8th, seven months after prominent death-penalty lawyer Martin McClain wrote to the court outlining concerns about Bonner. Bonner, included in a registry of lawyers appointed by the court to represent Florida Death Row inmates in post-conviction appeals, was rebuked by a federal judge several years ago for failing on two separate occasions to meet a one-year deadline to file habeas corpus petitions. Such federal appeals provide inmates a last chance to have their convictions reviewed on a variety of grounds. In this month�s administrative order, Labarga appointed 3rd District Court of Appeal Judge Kevin Emas as the referee in the Bonner investigation and named Belvin Perry, a former 9th Judicial Circuit chief judge who presided over the Casey Anthony murder trial, to serve as special counsel to the referee. Labarga gave Emas 90 days to complete the inquiry and file a report on Bonner. �The referee shall make findings of fact and recommend any necessary remedial action, including the removal of Mary Catherine Bonner from the registry for postconviction capital attorneys, if appropriate,� the two-page order said. Bonner did not respond to phone calls and emails seeking comment. Numerous death-penalty legal experts told The News Service of Florida that Labarga�s order appeared to be the first of its kind. Florida�s death penalty has been under scrutiny for nearly a year, since the U.S. Supreme Court, in a case known as Hurst v. Florida, issued a ruling in January that struck down the state�s capital sentencing system as unconstitutional because it gave too much power to judges, instead of juries. State lawmakers hurriedly passed a new law intended to fix the deficiency, but the Florida Supreme Court last month overturned that law because it did not require unanimous jury recommendations for the death penalty to be imposed. Labarga ordered the Bonner investigation after McClain sent a letter April 4 to the clerk of the Florida Supreme Court raising alarms about two Death Row inmates, Alphonso Cave and Paul William Scott, whom Bonner represents in state court. Cave and Scott have independently asked the court to dismiss Bonner from their cases; both men alleged that their lawyer went for years without contacting them. McClain represented Scott for a period over a decade ago, as well as Cave�s co-defendant, who has since been executed. McClain also wrote about Bonner�s court-appointed representation of two Death Row inmates � including Mark James Asay, whose pending execution was put on hold by the Florida Supreme Court earlier this year. McClain now represents the two Death Row inmates. In 2009, U.S. District Judge Timothy Corrigan harshly criticized Bonner for filing federal appeals in the cases of Asay and William Greg Thomas more than 200 days after a one-year deadline had run out. Bonner blamed the delays in part on health problems both she and her husband had undergone, but the Jacksonville judge was not appeased. �The terms �bad faith� or �dishonesty� capture Ms. Bonner�s conduct and are the type of egregious conduct that rises well above professional negligence or even gross negligence,� Corrigan wrote of Bonner�s handling of Asay�s petitions in 2009. Bonner�s delays in filing the federal appeals prompted Corrigan to grant �equitable tolling� in both cases, allowing the missed deadlines to be ignored. The Florida Attorney General�s office, which represents the state in capital cases, opposed giving the inmates more time to file the federal appeals but maintained that Bonner�s conduct warranted sanctions. Even so, the state opposes allowing inmates whom Bonner currently represents to fire her. In March, Cave sent a hand-written letter to the Supreme Court requesting that Bonner be terminated as his attorney, saying he had not seen her in four years and she had not responded to his letters and calls. Cave � whom Bonner has represented for nearly half of the more than three decades he has spent on Death Row � was concerned about the impact of the Hurst ruling on his case. That decision prompted the state court to put the scheduled executions of Asay and Cary Michael Lambrix on hold indefinitely. In April, Bonner asked the state court to keep her on as Cave�s lawyer, saying she �took a very bad fall� and broke her shoulder. Bonner went on to describe in detail problems she encountered during her recovery, including �a terrible adverse reaction to pain medication� and lengthy waits at the hospital where she was being treated. Bonner � who has a clean record with The Florida Bar � also wrote to Cave, asking him to keep her on as his attorney. �I care about your fate and will vigorously litigate on your behalf,� she wrote to the inmate on April 3. In a hand-written response to the court dated April 11, Cave wrote that he simply wanted a lawyer who would file the appropriate documents on his behalf. �It is unfortunate and just not right that I had to write this Honorable Court to get my lawyer to correspond with me,� Cave, 57, wrote. Cave�s letter is the latest document posted in his case on the Florida Supreme Court website. Scott also asked the court to remove Bonner as his lawyer in state court. After the court refused that request, Scott appealed. That appeal is pending, according to the state court website. Asay�s case became the focus of attention earlier this year. McClain took over Asay�s case in January, shortly after Gov. Rick Scott set a March execution date for the convicted double murderer. After being sentenced to die, Asay went for a decade without legal representation, and almost all of the paper records involving his case went missing or were destroyed. McClain described difficulties he encountered trying to retrieve documents from Bonner, who had served as Asay�s lawyer in the federal appeals. �Despite the exigencies created by Mr. Asay�s pending death warrant, she repeatedly delayed ascertaining and advising what files she had. About a week into the warrant, she had four mold and insect infested boxes delivered to my office. One of the boxes was largely empty. All of the material in the boxes had been exposed to water and was ruined. The prevalence of mold made the boxes a health hazard,� McClain wrote to Florida Supreme Court Clerk John Tomasino on April 4. Bonner later delivered more boxes to McClain �after they had been left outside in a driving rain storm,� he continued. The boxes were �completely waterlogged� and �were literally disintegrating as they were carried to my office,� he wrote. Much of the material in the boxes was unrelated to Asay�s case, according to McClain�s letter.